According to statistics, China is currently the largest clothing producer and consumer in the world with the annual production of more than 40 billion pieces of clothing, which is naturally more and more demanding on the logistics level of the clothing industry. 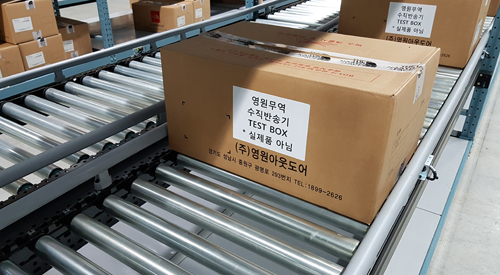 The intensified industry competition and homogenization urges the clothing industry to further optimize and improve the logistics equipment. In the process of order sorting in the clothing industry, the unit of piece is used for sorting. Soft-bag packaging and transmission is needed. It happens that the belt conveyor is suitable for delivery; therefore, it’s of great importance that whether it can run stably and reliably in the link of delivery. 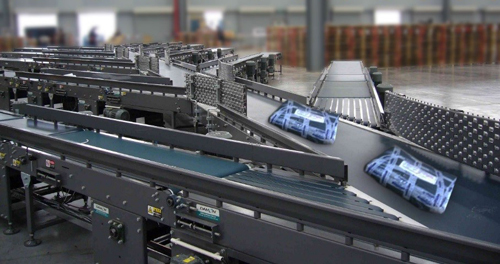 However, the quality and performance of belt conveyors on the market are uneven. In terms of the use of belt rollers, cylinders and sealing plates often seal off or spindle noses and sealing plates seal off, resulting in the halt of the machine; driving devices need to be replaced to improve the driving force due to the fact that the whole-axis design structure results in the halt of the belt conveyor; the situation of intermittent belt deviation and insufficient tension occurs due to quality of raw materials of rollers and processing precision, so that the equipment shall be maintained from time to time; unmatched rollers will also cause broken axes and abnormal noise. These disturbing problems cannot be eliminated, having greatly affected the normal use of the equipment and hindered the logistics aging of the clothing industry and new trend on the clothing market, which will cause serious economic losses directly! In response to these problems, it takes Damon Industry three years to create new solutions and standards of belt rollers, striving to fundamentally solve all the problems. 1.Prevent loose weld - transform the traditional welding process directly into the equipment welding (patent number ZL201520947264.8). The welding process is controlled by the equipment automatically, so that the contact surface materials between spindle noses and sealing plates and between cylinders and sealing plates are fully integrated. Strength of welding fusion of the contact surface has far exceeded the strength of the base metal itself, fundamentally putting an end to the hidden risk of loose weld! 2.Ease worn spindle noses – the professional quenching and tempering process on spindle noses makes the surface hardness of spindle noses higher, so that the wear-resistant ability under high load, tension and rotational speed has been strengthened. 3. 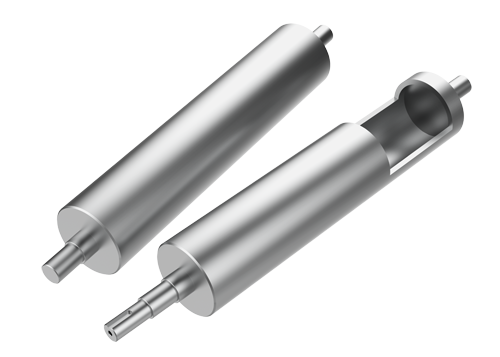 The brand new structure – the use of new lightweight materials and design agencies has greatly reduced the weight of the shaft of the roller itself. The structure is simple and the strength is reliable, which eliminates broken shafts, reduces the burden of the driving device and makes the operation of the belt conveyor more easily and flexible at the same time. Damon Industry also has the BP-R fixed-shaft roller, which is mainly used to increase the wrap angle of the driving roller, tighten the belt and adjust the deviation, etc., and harsher materials are used; exquisite design structure (drum-type is optional); in terms of the process, the technology of boring holes from both ends is adopted to ensure the proper alignment of internal hole processing and precision of processing and avoid the roller from moving up and down; built-in heavy-duty precise ball bearings and a series of optimization measures improve the smoothness when the roller is running and the load capacity. 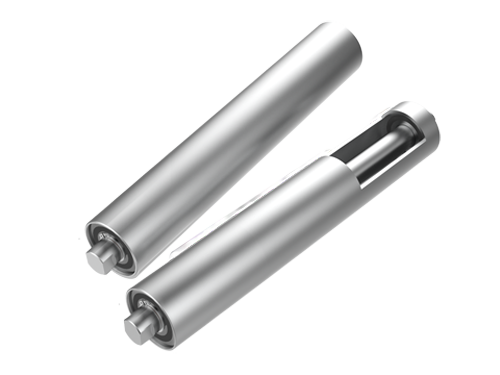 In addition, using with our carrier rollers with complete specifications can simplify the structure of the conveyor, reduce friction, prevent static electricity (optional), reduce noise and eliminate abnormal sound. This series of optimization and improvement of belt rollers are strong support provided to ensure the stable operation of the equipment. At present, belt rollers of Damon Industry distinguish themselves as they are used in belt conveyors of the clothing industry, which have been applied to many projects, such as La Chapelle, Peacebird, Nike, ANTA, etc. As staff of Damon Industry, we are willing to bring the experience of other delivery industries to the clothing industry to provide strong guarantee for the delivery of the logistics equipment in the clothing industry. Damon Industry can not only supply more stable and innovative high quality roller hardware products but also provide customized roller solutions and services suitable for the application to the logistics equipment, and they are suitable for a wide range of industrial fields to help users improve operational performance and reduce overall costs. Strongly support intelligent manufacturing of global enterprises and create competitiveness for customers.